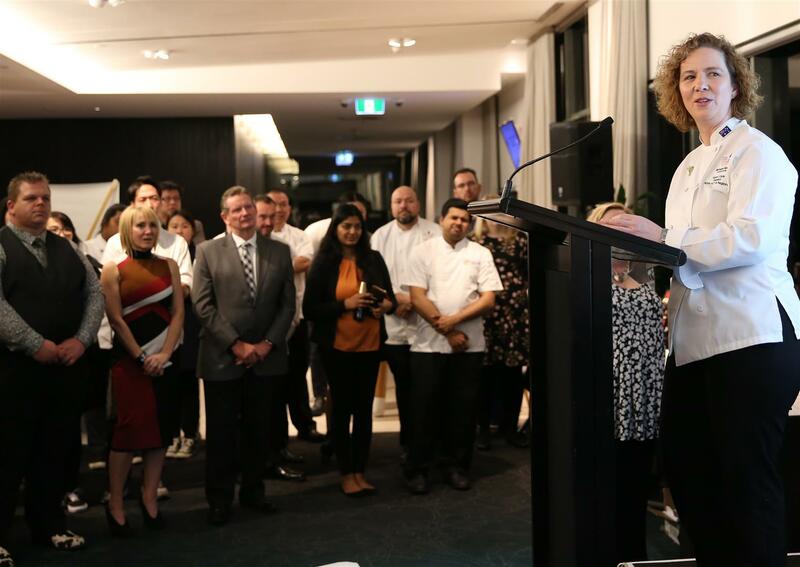 Le Cordon Bleu students won an array of awards in the 2017 Australian Culinary Challenge and Alumna Mary George was selected to represent Australia in the International WorldSkills competition in Abu Dhabi. Le Cordon Bleu Sydney students took out an array of awards in the 2017 Australian Culinary Challenge held at the New Sydney Convention and Exhibition Centre as part of Fine Food Australia 2017. Participants showcased their talents in front of a live audience and were judged by a panel of international, interstate and local judges. Nestle Golden Chefs Hat: Sydney students Davy Dai and Tyler Khor won 3 silver medals in the National Final. Australian Culinary Federation Most Outstanding Chef 2017: Hou Chin Tang won 2 silver and 1 gold medal. Le Cordon Bleu also acknowledges the support of Head Teacher Karen Doyle who mentored the students. Le Cordon Bleu Sydney alumna Mary George was selected to represent Australia in the International WorldSkills competition in Abu Dhabi. Talented Mary graduated from Le Cordon Bleu in 2016 with a Certificate 3 in Pâtisserie, and also won the 2016 Australian Vocational Education Award student prize. Congratulations to Mary George on being selected for the Australian team, and well done to the Australian Team for taking 32nd place in the WorldSkills Abu Dhabi 2017 competition.